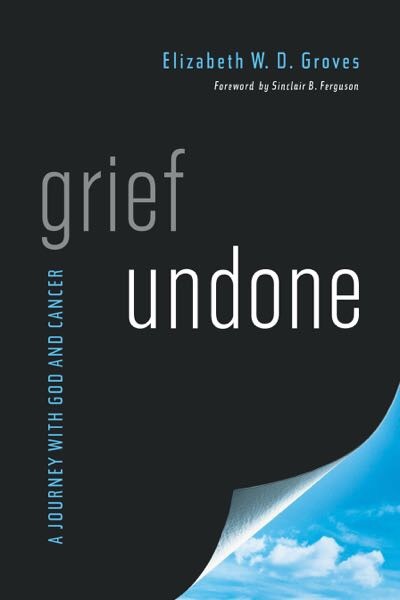 Grief Undone is the breathtakingly honest, yet hopeful account of how Elizabeth (Libbie) and Al Groves walked with God through Al’s terminal cancer. Their true story—saturated with in-the-moment Scriptural reflections, blogs, and fervent prayers—paints a stunning picture of how faith transforms the human experience of suffering. But Grief Undone is more than the chronicle of one family’s courage in the face of cancer. At its core, Grief Undone tells a story about the God who is with his people through each and every circumstance in life. Grief Undone will inevitably display the beauty of Christ’s sustaining love for his people through trials that seemed too hard to bear. Though grief threatens to undo us, we find that we are not destroyed, but sustained by God’s presence. Elizabeth W. D. Groves, MAR, teaches Hebrew at Westminster Theological Seminary and is the author of the minibook Becoming a Widow: The Ache of Missing Your Other Half. She has four children, who were ages thirteen and up when her husband Al died in 2007, and two granddaughters born after his death.